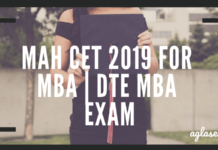 MAH CET 2019 Application Form – On January 10, 2019, DTE Maharashtra has commenced with its application process for MAH CET 2019 over its official website i.e. dtemaharashtra.gov.in. The direct link has also been provided over this page. Candidates seeking admission to First Year MBA/MMS in various institutes in Maharashtra, for the academic year 2019-20 have to fill the online application form online. To complete the registration process candidate has to pay Rs 1000, via using any of the online payment gateways. 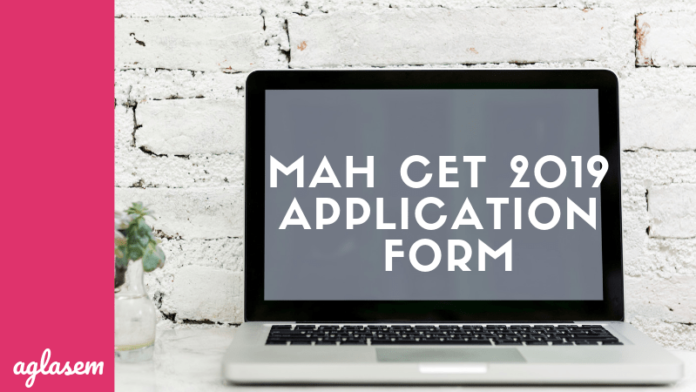 To know more about MAH CET 2019 Application Form, candidates can keep reading! Latest: Application process is over for MAH CET 2019. Last year, over 1 lakh candidates had registered and only 98,606 candidates had appeared for the entrance exam. It is advised to all the appearing candidates to preserve the hard copy of the application form as it can be needed at the time of the counselling session. A candidate can check the other related important dates from below. 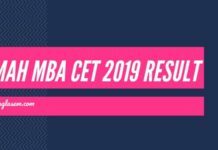 Your MAH-MBA/MMS CET 2019 application will not be considered to be successfully submitted until the time a candidate makes the payment of the application fee. The application fee has been specified by the Government of Maharashtra, State Common Entrance Test Cell. How To Apply For MAH CET 2019? Candidates will be able to apply for MAH CET 2019 Application Form by following the instructions mentioned below. Through the application form, candidates would get the login credentials which should be kept in a safe place as it will be needed at the time of viewing the result. Candidates will be required to fill some of their basic details like name, contact number, alternative number, email ID and security code. Click the “Save & Next” button to proceed. As per the specifications, candidates will be required to upload photograph and signature of specified measurements. Also, from the above green box make a note of your provisional registration number and password. Also, candidates will receive a confirmation mail from GOVERNMENT OF MAHARASHTRA STATE COMMON ENTRANCE TEST CELL, over your registered email address. Over the next page, a candidate will be required to fill some of the basic details related to the category, domicile, disability, date of birth, parent’s details, address and some of the application fee-related details. 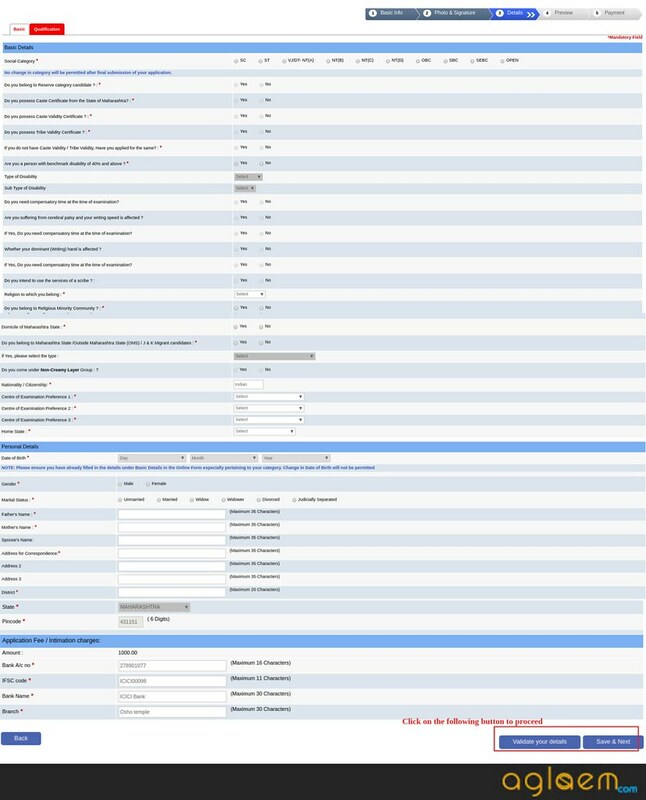 After having filled all of these details, a candidate will be required to first “validate the details” and then click the “save & next” button. Over the second part of Step 4, a candidate will be required to provide with some of their qualifications related details like the degree in which subject, status(appearing/passed), date of passing, duration, average marks secured, grade obtained, grade points, the percentage of marks and class/grade. Similarly, like the previous step, first validate your details and then click the “save and next” button. It is one of the most important steps of the MAH CET 2019 application process. As we don’t quite know the chances of the authorities to open the application form correction window, a candidate needs to make sure that all the details, provided by him/her are true and the correct ones. No candidates shall be allowed to further make changes in their MAH-MBA/MMS CET 2019 application forms after this step. This will be the final step of the MAH-MBA/MMS CET 2019 application process. 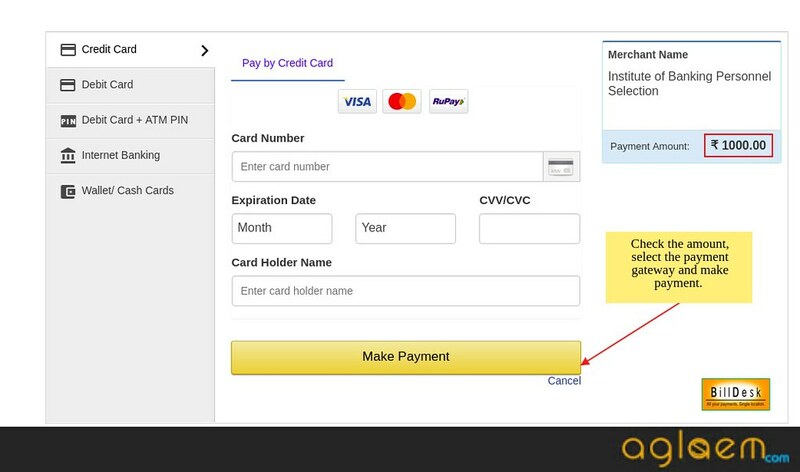 A candidate will be required to make the payment of the specified amount of application fee, via using any of the following payment gateways, as shown in the picture below. The photograph must be a recent passport style color picture. Dimensions of photograph 200 x 230 pixels (preferred). 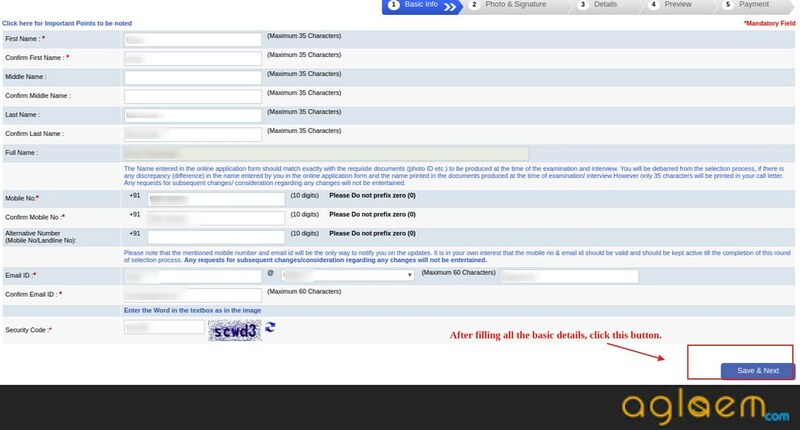 Candidate should also ensure that photo is uploaded at the place of photo and signature at the place of the signature. If the photo is not uploaded at the place of photo admission for the exam will be rejected/denied. Dimensions of signature 140 x 60 pixels (preferred). Size of signature file should be between 10kb – 20kb. This fee will be non-refundable and non-transferable under any circumstances. In case the face in the photograph or signature is unclear the candidate’s application/ admission for an exam will be rejected. 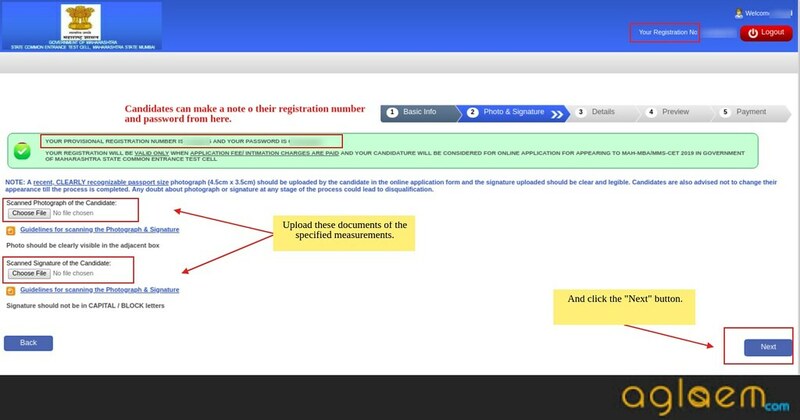 After uploading the photograph/ signature in the online application form candidates should check that the images are clear and have been uploaded correctly. In case the photograph or signature is not prominently visible, the candidate may edit his/ her application and re-upload his/ her photograph or signature, prior to submitting the form. On the basis of the details provided in the MAH CET 2019 application form, a candidate will be issued the admit card by the Directorate of Technical Education (DTE), Maharashtra. 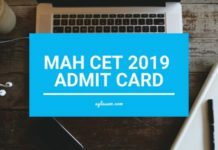 Usually, the MAH CET 2019 candidates will be required to download their admit cards from the official website by the last week of February 2019. 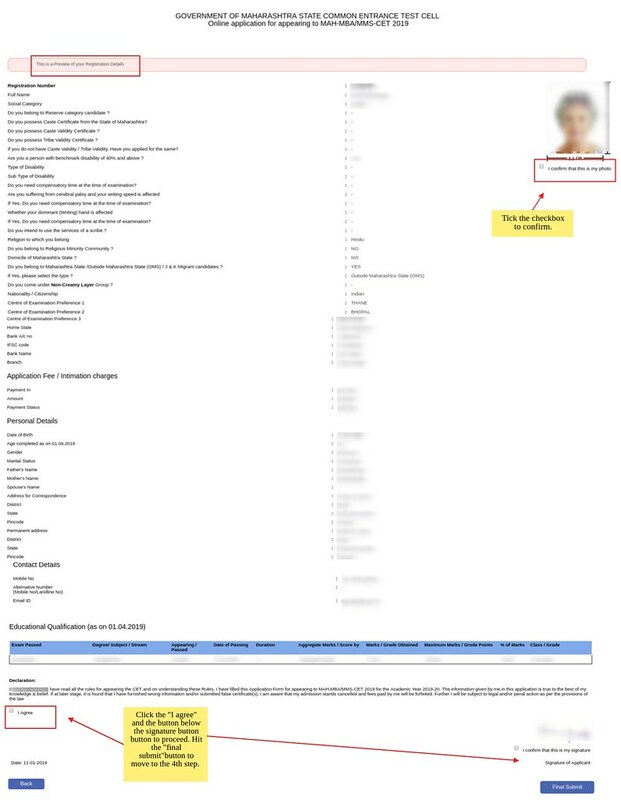 On the day of the MAH CET 2019(MBA), a candidate will be required to carry a government id proof, along with MAH CET 2019 admit card. Note that, the authorities will not be considering ration card & learning driving license as a valid id proof. Q1. How does a candidate get to know whether his/her application has been registered? Ans. Once MAH CET 2019 application has been registered a candidate will be able to make a note of the “Registration No.” and “Password” for his/her login portal. Q2. What happens if a candidate has not received the confirmation of the registration via mail? Ans. Candidates will be advised to check their spam folder. Mostly, all the candidates will receive a confirmation if they have provided right email ids. Q3. What if a candidate is not able to assess the page? Ans. Before starting to fill up your MAH CET 2019 application, it will be advised to make sure of various factors like Internet Speed, a large number of applicants trying to register the application at the same time etc. These factors may create a slow connection, if not looked into. If facing any problem due to these reasons, a candidate can please retry after a gap of 15 minutes or during off-peak hours in the night. Q4. What if a candidate wishes to edit any of the details? Ans. Once the MAH CET 2019 application has been submitted, a candidate will not able to make any changes in the form. Although, there will be an option to “edit” details prior to submission of the online application.